Henderson Temple True Church History | True Church of God in Christ, Inc. 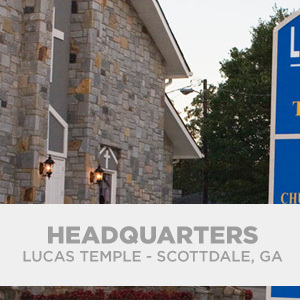 The Henderson Temple True Church of God in Christ was established in 1968 in Thomaston, Georgia under the leadership of Elder Henry O. Henderson. 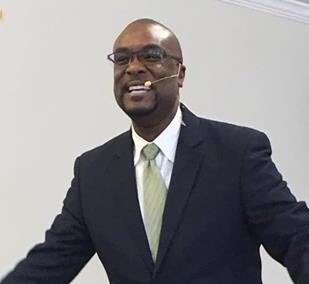 The church began when Elder B. J. Lawson, Elder H. O. Henderson, and Deacon C. B. Shaw decided to work in God’s vineyard after a Fifth Sunday Meeting. The spirit of God led Elder Lawson to Thomaston, Georgia. The ministry began with a local broadcast on radio station WSFT 1220 AM every Sunday afternoon from 1 to 2 PM. Local citizens began listening to the voice of Elder Henderson on the airway. Interested residents contacted him and a Saturday night Bible class developed with the help of Deacon Shaw. Elder Lawson did not visit as often to Thomaston because he was the pastor in Girard, Georgia. Deacon Shaw was ordained an Elder and was led to Barnesville, Georgia. Services at that time were held in a store front on Bethel Street, but were shortly moved to a house. Elder Henderson and the members purchased land and began to build a church on Old Talbotton Road. Elder Oprie Jeffries laid the first brick. During the construction, services were held at other locations – Triumph Church, Beauty Grove Church, Friendship Church and Triune Village Community Center. We moved into the sanctuary in 1973. On December 8, 1978 the church building was consumed by fire. The saints remained encouraged. They began to construct the dining hall into a sanctuary. This is where services are being held today. The dining hall is located where the original church building stood. In July of 1983, God called Elder Henderson home. The late Minister Walter Whitehead was appointed pastor briefly. In 1985 Bishop Willie Fred Lucas, founder of the True Churches of God in Christ, Inc., pastored Henderson Temple until his death on March 4, 1994. During the administration of Bishop Lucas, Elder Emmitt Robinson, Sr. and Minister Harrell Taylor were assigned to assist him. After the death of Bishop Lucas, Elder E. Robinson, Sr. was appointed pastor with Minister Taylor assisting him. Minister Taylor was later appointed to assistant pastor of Barnesville due to Elder Drake Castlin’s illness. After Elder Castlin’s death, Taylor was appointed pastor of Barnesville Church and was ordained an Elder. 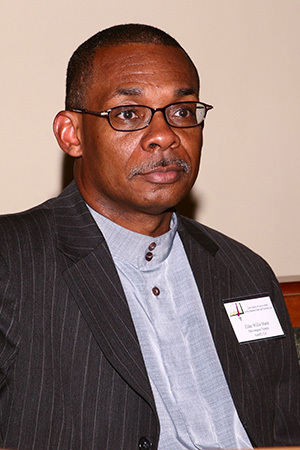 Due to Elder Emmitt Robinson, Sr.’s aging, Elder Taylor became pastor of Henderson Temple also. He was assisted by Minister Thomas Davis and Minister Clay Andrews. It was God’s will to call his servant Harrell Taylor home, November 7, 2007. Minister Clay Andrews was ordained an elder in November 2007 and became the pastor of Barnesville and Thomaston Churches. Elder Andrews passed February 2, 2014. Elder Wille Mann became the pastor. We are a strong band of baptized believers in Christ Jesus. We have endured many hardships, but we have triumph through deaths, turmoil, desertions, afflictions, and adversities. We claim the victory through Jesus Christ our Lord.